Relocating to a new place is never easy; especially the work involved with packing things, preparing self for new school and employment places, and feeling like home in a new surrounding. But there is one more thing that people usually miss out to consider during the initial stages of planning - the relocation of their pet(s). Different countries have different procedures and rules for relocating the pet. Fortunately for you, the rules are quite simple and straightforward in the Cayman Islands. The Cayman Islands require a pet passport and you must submit an official health certificate and a rabies laboratory report (if you have a dog or cat) along with the processing fee for the permit. Considering the procedure involved, you must start preparing for the relocation of your pet six months prior to travel so that your pet’s journey is as comfortable as yours. The beauty and climate of the island will not only thrill you but your pet as well. On the other side, all the sun might be a little overwhelming too (if you are relocating from a cold and dark corner of the earth!). 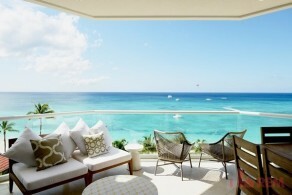 Below are some of the things that you can expect from the Cayman rental market. While some houses in the Cayman Islands say no to pets and children, there are some that demand pet deposit for keeping pets. Hence, it is best to take help of the Cayman real estate agent who is aware of every nook of the Cayman Islands. He/she will ensure that your stay is peaceful by finding the right house for you and your pet. The Cayman Islands are famous for their hospitality in all of the Caribbean. Right from the moment you land to the moment you reach your new dwelling place, you will be greeted and welcomed with friendly smiles and undoubtedly your pet will be given the same treatment. Such is the hospitality of the Cayman. Most of the houses constructed are pet-friendly to make your pet feel as welcome as you are. This allows you to interact with people and also enables your pet to make new friends and gel in easily in the new surrounding. It might take some time in getting used to the tropical climate of the Cayman Islands but once settled, there is nothing more enjoyable. It is no secret how pleasant the weather of the Cayman Islands is. Adding to the scenic beauty of the island, places like Seven Mile Beach are perfect for a rejuvenating walk with your pet. You and your pet will enjoy every bit of the sunrise / sunset on the white sands and the pristine waters of the Seven Mile Beach. Your Grand Cayman rental house is the perfect location for your pet. While you are engrossed in deciding the furniture of your house, plan a special establishment for your pet. Grand Cayman is equipped with the variety of shops that offer luxurious services. Apart from the furniture, pamper your pets with the tempting nutritional food and preen them in the best pet shops that offer spa services. Leave them under their care while you get on with your shopping, dine and wine. Enjoy the perks of residing in the beautiful Caribbean destination - the Cayman Islands. Sinking in the ambience of place might take time, but the friendly neighbourhood will make the process swift for you and your furry member. While everything else is secondary, the primary thing is not to drive your landlord crazy. Stay aware of the things that your landlord expects from you and keep yourself in his good books always.